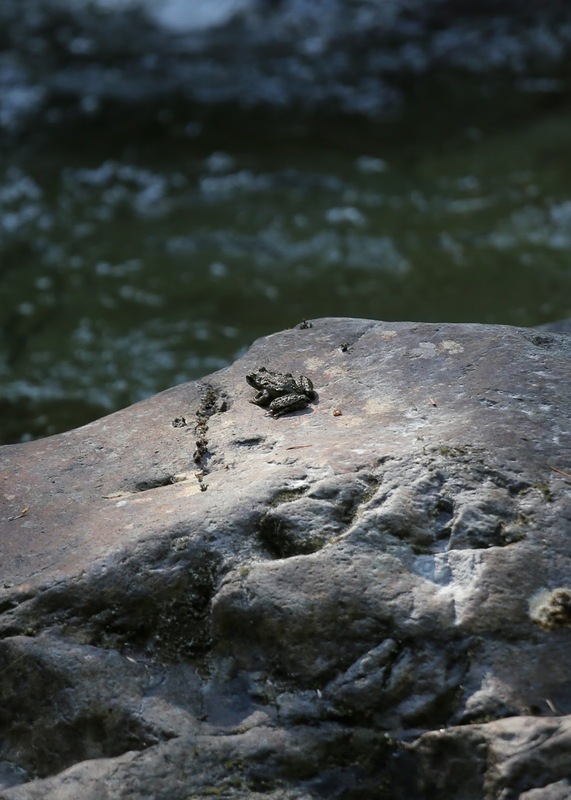 This frog, a Rana cascadae, was taking a break in the sunshine on a rocky island in the middle of the swift-flowing Boundary Creek, in Mt Rainier National Park. 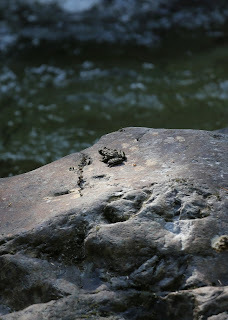 He jumped off as I was composing a better picture, and was probably swept down quite some distance. It was lovely cooling our feet in the cold water, as we'd hiked nine miles rather quickly.